Home / Uncategorized / We’re exhibiting at Life InStyle! We’re exhibiting at Life InStyle! 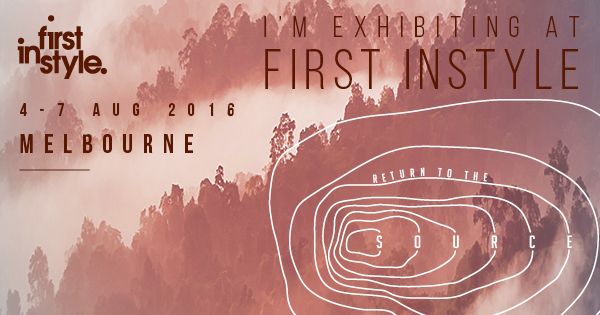 We’re delighted to announce that we’re going to be part of the 2016 Melbourne Life InStyle trade show. It’s being held in two weeks time (4-7 August), at the Royal Exhibition Building, and we’re going to part of the First In Show section. The focus of this season’s show is ‘Return to Source’, with an emphasis on the origins of products and materials in their raw form. We feel it’s the perfect theme for launching Tinta Crayons to Life InStyle because our emphasis is on making crayons from scratch, using nothing but 100% natural waxes and non-toxic pigments. Next post: We’ve turned one!